Blues veteran BB King will also appear, as well as Tinie Tempah and critics' favourite Laura Marling. There is also space for two veteran American stars with Paul Simon and American Pie singer Don McLean both appearing on the main Pyramid stage. Rock superstars U2 will headline on Friday night after pulling out of last year's festival at the last minute. 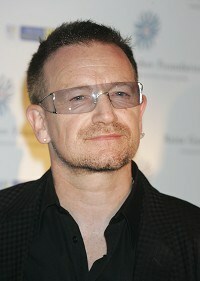 The Irish band's 2010 date was axed when singer Bono suffered a back injury and Gorillaz were hastily lined up as a replacement. They join Beyonce and Coldplay as bill-toppers this June. Glastonbury organiser Michael Eavis said: "After the disappointment of U2 being unable to play last year, we're now doubly excited at the prospect of the Friday night supergroup breaking the sound barrier."